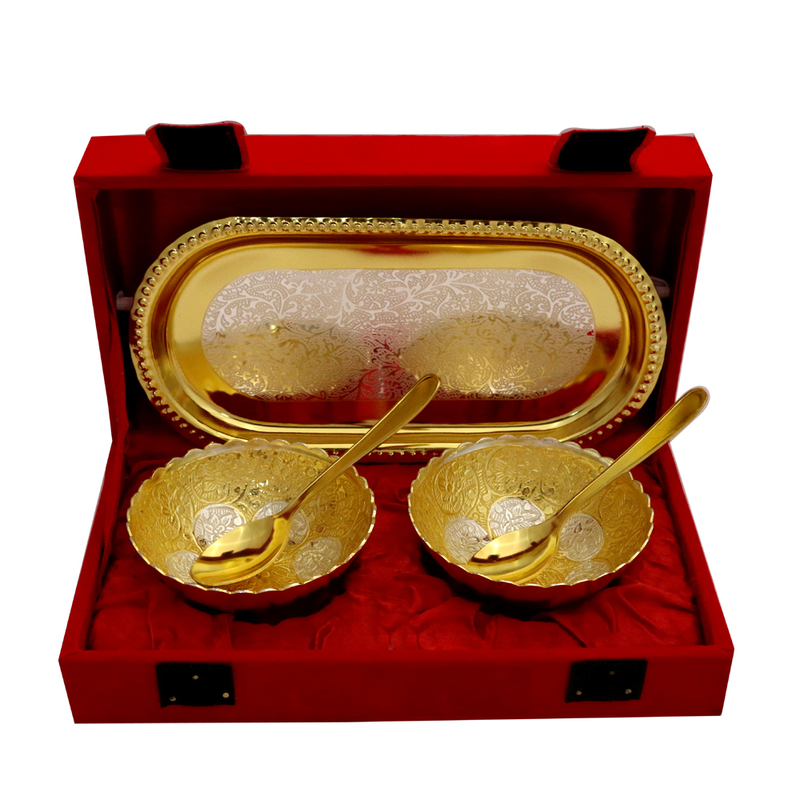 This German Silver 2 Tone Round Bowl & Tray Set with 2 Spoons is sure to impress buyers looking to showcase their refined aesthetics while Read More..serving delicious desserts to their guests. 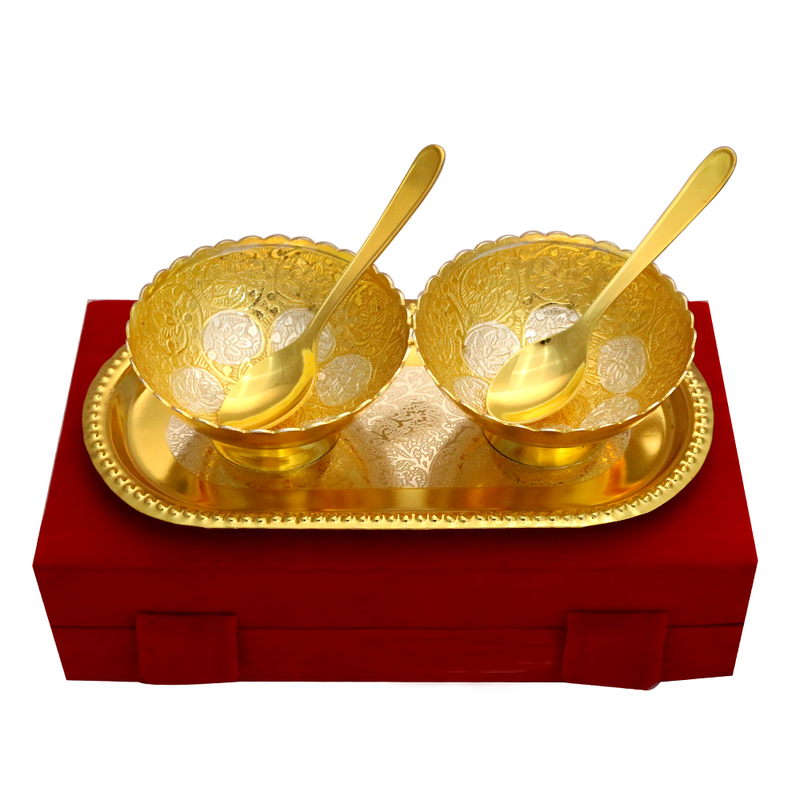 The intricate design of the round shaped bowls accentuates the appeal of its two tones, while the two spoons help in completing its utilitarian aspect. 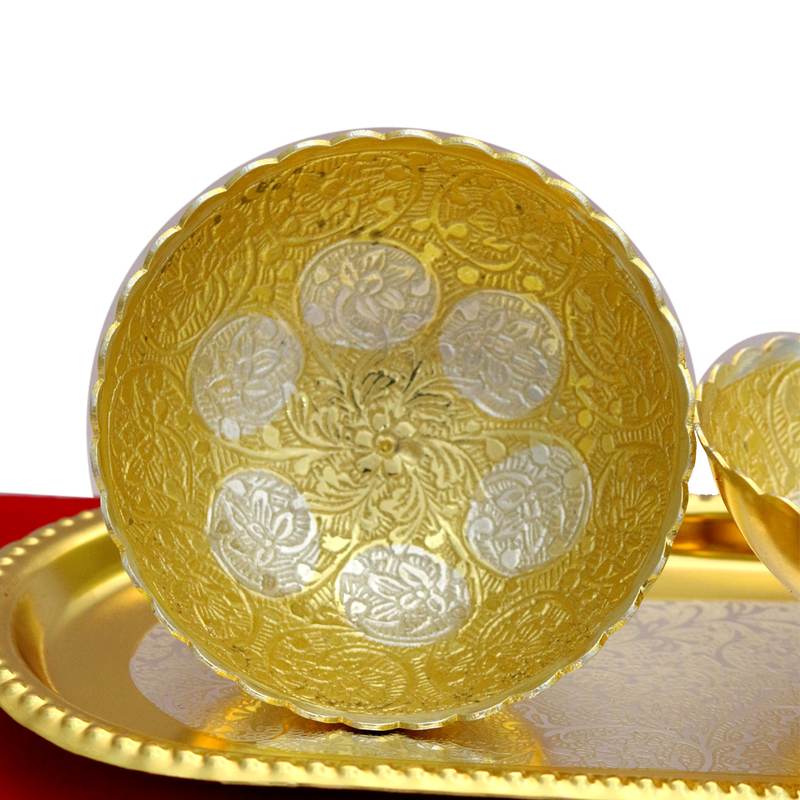 Moreover, the tray ensures that the users are able to use the bowl for serving dessert without facing any inconvenience. Show Less..